What Makes Adventure Holiday Special in Russia? After a short glance of the world map, it’s hard not to notice the biggest country in the world – Russia. Its vast territories cover all the climate zones, except for tropical, span 11 time zones and contain enormous diverse landscapes with areas where human beings have yet to step foot. These facts make Russia a dream destination for adventure travelers, where you will need more than one life to see it all. 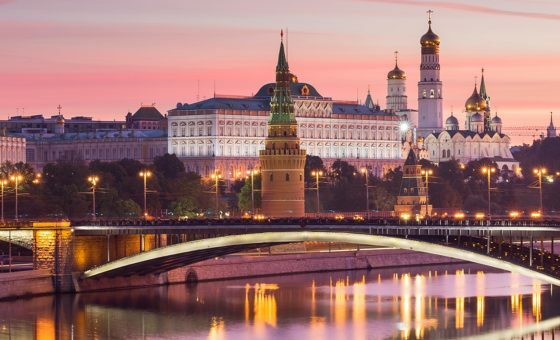 From warm and cold seas and oceans, deserts, taiga forest, arctic tundra, subtropical beaches and volcanoes to some of the world’s great rivers, lakes, mountains and of course multiple cultural sights; Russia seems to have it all. No company can be a true adventure specialist in all of Russia’s regions. Therefore, we focus on the essential experiences and places of interest in European Russia. Each of Russia’s two capitals has their own ways to excite its visitors. Everybody has seen Moscow’s popular sights on TV like great Kremlin and fairy-tale-like St. Basil Cathedral. Well, it is even more impressive to see this incredible ensemble in person and discover what treasures are hidden inside. “The mother of Russian cities” has much more to offer in addition to these sights: art treasures of its great museums, ancient churches, incredible performances of top world theatres and even an ordinary activity like taking a metro will surprise you, with its stations that appear more like a luxury palaces rather than public transportation stops. Only a few hours by train separate the hectic Moscow life from its sophisticated younger brother – Saint Petersburg. This city is called “The Cultural Capital” of Russia for a number of serious reasons: it houses several hundred museums and exhibition halls including the world’s largest museum, the Hermitage, the world’s top ballet and many more cultural activities. The former elegant winter and summer palaces of the Russian Imperators will impress you with its enormous art collections and luxury interiors including the famous Amber Room. Along with Paris or Rome, visits to Saint Petersburg and Moscow should be on the lists of any traveler who is looking for unforgettable cultural adventures. An enormous country such as Russia has so many activities to offer an intellectual traveler. Venture outside of its capitals for other incredible cultural discoveries. Start with “The Golden Ring” – a name for the route with several small towns North-East of Moscow. 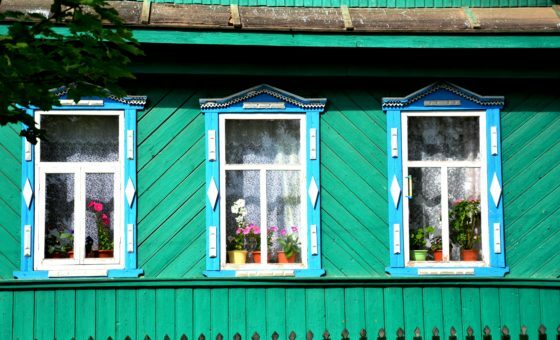 Travel there to enjoy a peaceful life in the Russian provinces, beautiful countryside views, and immerse in the world of Russian history and architecture. Wander amongst ancient fortresses and beautiful monasteries made of white stone and hear the church bell ring. The Golden Ring starts in Moscow, goes through Sergiev Posad, Suzdal, Vladimir, Yaroslav and other towns. 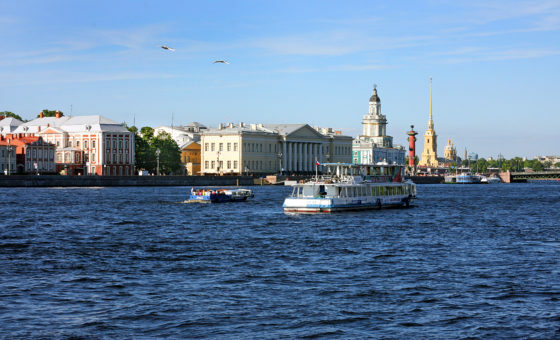 While in St. Petersburg we recommend that you explore another exciting cultural route – “The Silver Ring”. Located in Northwestern part of Russia it has a plenty of significant sights with great history. What is special about the Silver Ring is how you travel its many routes. You start in St. Petersburg and then can choose among 14 cities with outstanding historical and cultural sights and travel between them as you wish. The highlights of the routes are the ancient town Great Novgorod and Karelia region with Kizhi and Solovetsky Islands and Valaam Monastery. There are few places where the Russia’s culture and spirit are preserved as greatly as in its ancient monasteries and churches. 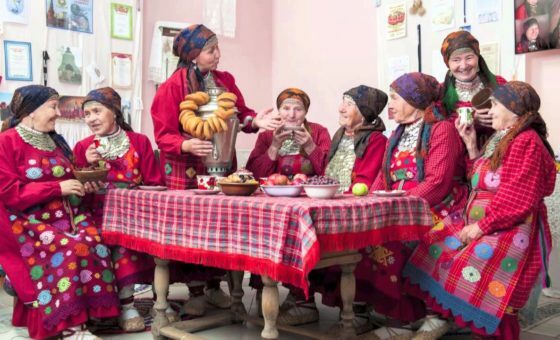 You may find it hard to believe in a country that is slowly recovering from its Communist past, but when it comes to sacred Orthodox locations, recovery is nearly complete. While travelling through Russia you will be impressed by a wonderful ensemble of wooden, white stone and red stone monasteries and churches, who’s golden cupolas rise high and shine like stars. Many of such monasteries have very isolated locations, on remote islands with poor roads or railways connections, some of which can be reached by foot, bike or boat. These are truly unique sights hiding multiple historical, cultural and art treasures. Come there to learn about their dramatic history of prosperity and decline, hear about miracles and legends and see sacred relics. No matter what your faith is or your stance on religion, you cannot deny yourself the experience of witnessing the culture and deep history of Russian Orthodox. 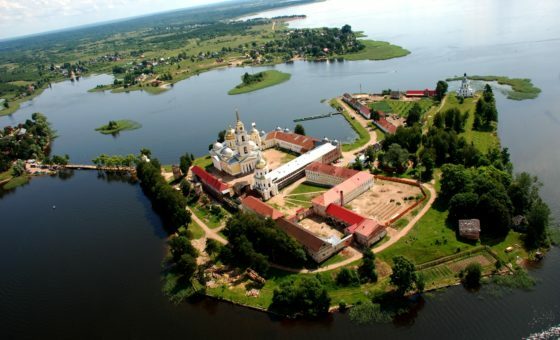 There are many places worth visiting such as the Valday Iversky and Yuriev monasteries in Novgorod land, Nilow Monastery in lake Seliger and when in the Russian north, don’t miss the Solovetsky and Valaam monasteries. For many people Russia is associated with winter, snow and extreme winter activities. While this is true, keep in mind that here the winter activities vary so much from so called soft adventures suitable for all age groups to extreme experiences available for real adrenaline seekers. 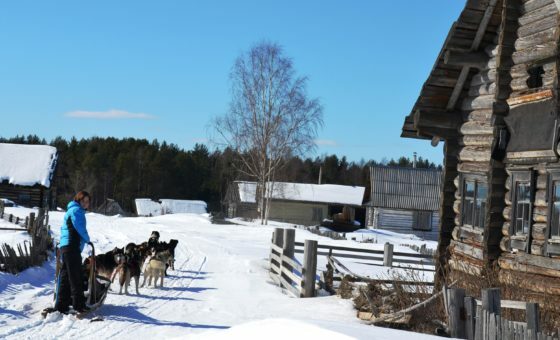 Thinking of dogsledding fun in winter wonderland? Watching magic Northern Lights? Riding cutest reindeers? Ice-fishing on a frozen lake or in open sea? Feel like a northern explorer while going on a cross-country skiing expedition? Watching the real Russian bear in its homeland? A winter safari by snowmobiles? These and many other unforgettable experiences are offered in several northern regions. Most of our tours offer winter adventures in Karelia region, which can be easily combined with visits of outstanding cultural sights – Kizhi, Solovetsky Islands, Valaam monasteries and Saint Petersburg. Murmansk region bordering Norway and Finland is a great destination for Northern Lights watching. In Russia you will probably feel the essence of true winter adventure by getting more authentic experiences with less tourist influences compared to its Scandinavian neighbors. 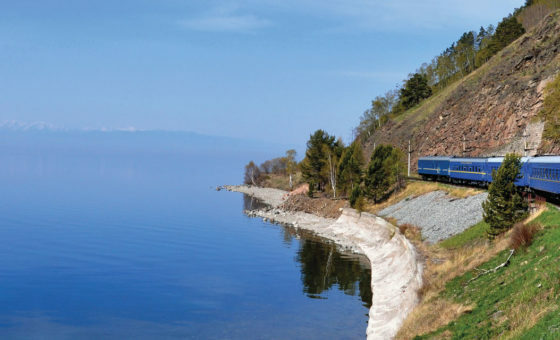 The journey of Trans-Siberian Railway is an extraordinary experience that usually lasts from 6 to 15 days depending on how many city visits are planned in your tour. You will travel across some of the greatest Eurasian rivers, see the highlights of Siberia and Baikal Lake, observe ever-changing European and Asian landscapes and explore Russia’s complexity and diversity. It is like a cruise on land allowing you to see vibrant Russian cities and travel through two continents and 90 towns. You can choose among several routes including the Trans-Siberian route from Moscow to Vladivostok, the longest train journey in the world, the Trans-Mongolian route from Moscow to Ulan-Bator or the the Trans-Manchurian Route from Moscow through Mongolia to Beijing. Depending on your requirement and budget you can choose to travel in a luxury private train or standard Russian trains with 1st, 2nd and 3rd class carriages. No matter what train you choose, throughout this journey you will experience Russia, Mongolia or China in the safest and most fascinating manner. 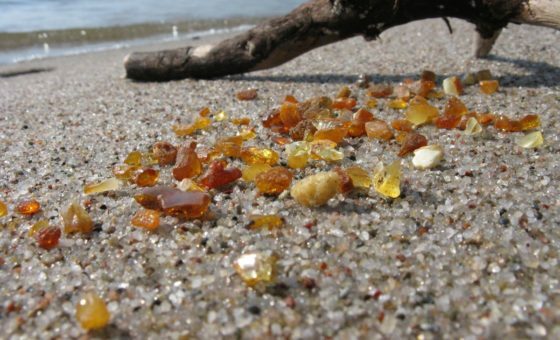 Did you know that 90% of the world’s amber comes for the Russia’s westernmost region – Kaliningrad? And to be more precise from the only amber factory in the world located in Yantarny town. Amber is fossilized resin of ancient conifers, which were growing about 50 million years ago on the continent located in the Baltic Sea area. Nowadays pieces of amber are sometimes cast by the waves on the white sand beaches, where they can be collected by hand, but most of the raw amber comes from the open-cast mine that is a truly unique sight worth seeing. Here you can do a lot of awesome things: try a new role of “amber-hunter” by digging for your own piece of this gem in the mine, visit an amber manufacturer to see how jewelry masterpieces are created by skillful craftsmen, and also take a lesson and create your own jewelry from a piece of amber using a traditional polishing machine. Although Kaliningrad region is called “Amber Land”, it can other exciting activities not related to amber: explore dramatic history and sights left from the former German city of Konigsberg, visit one of a few submarines left in the world from the pre-atomic period, see the once secret military town Baltisky and of course go to the Russian part of the Curonian Spit, the UNESCO World Heritage Site.